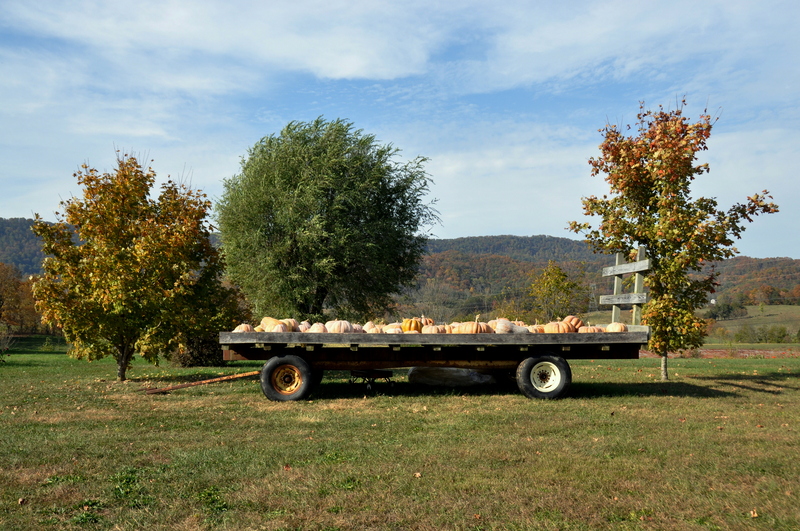 Below pic: Pumpkins for sale. This is the first time I’ve seen white ones. 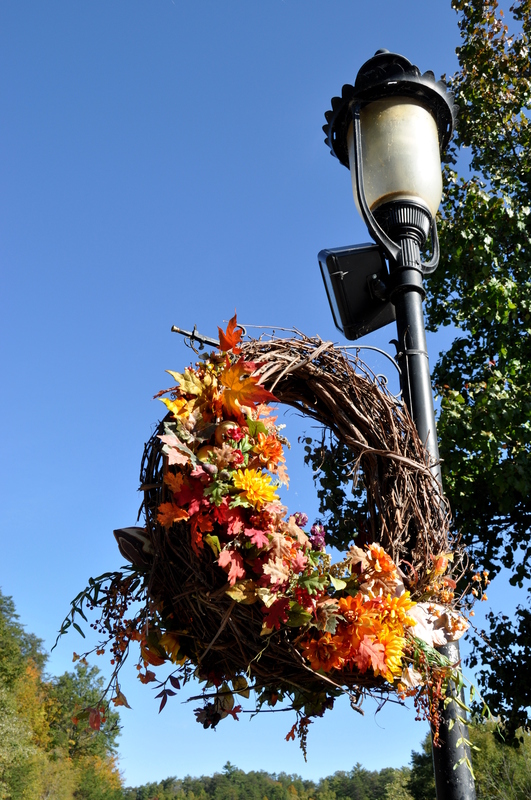 Above pic: Autumn wreath adorning a lamppost at Dollywood Amusement Park, Pigeon Forge. 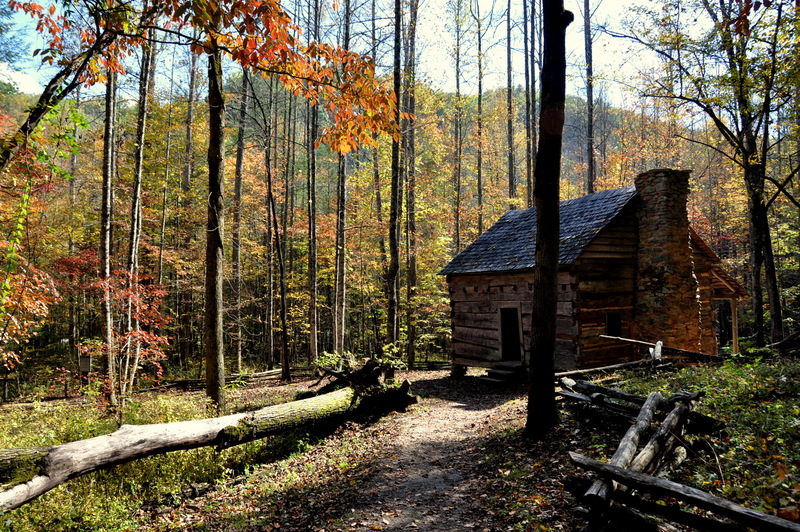 Below pic: Log cabin and fireplace, Great Smoky Mountains National Park. 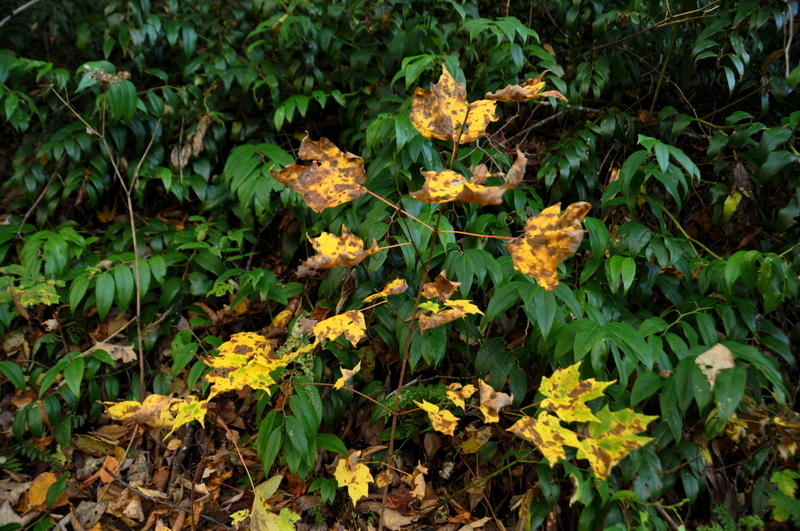 Above pic: These look like sycamore leaves, but they seem to be growing out of the ground from a few waist-high vines. 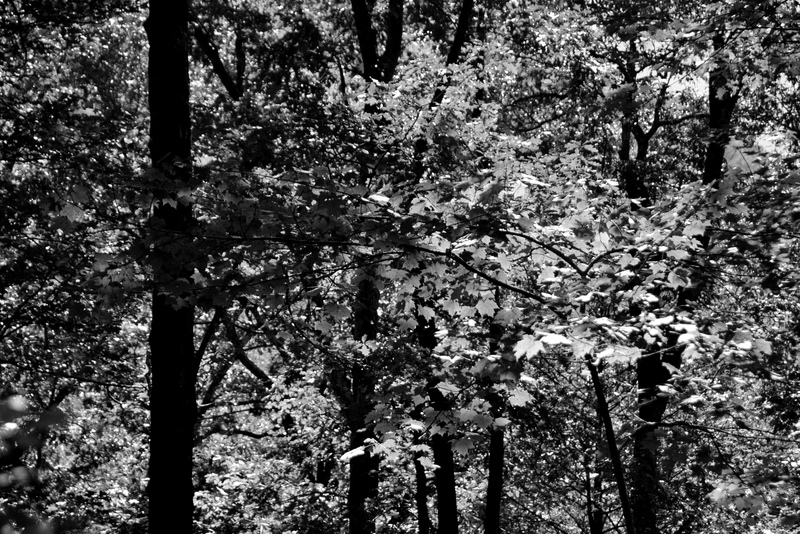 Below pic: Experimenting with filtered B&W, just because. 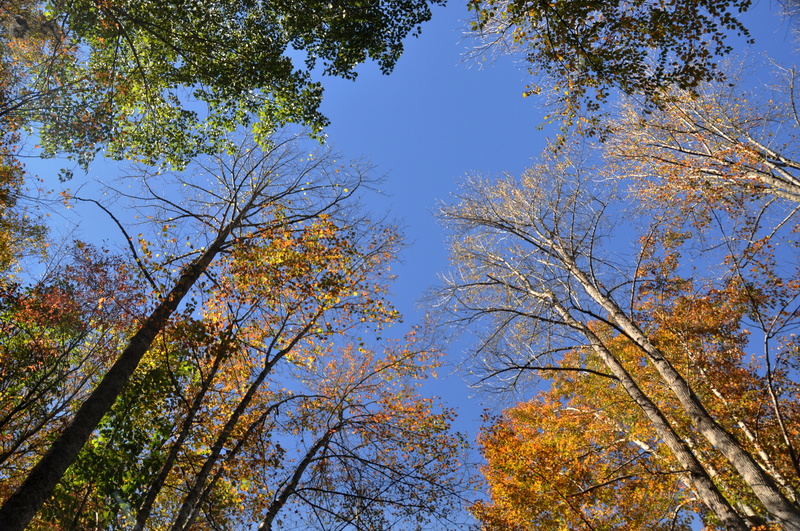 Above pic: Sunny skies and autumn leaves, two of my favorite things. 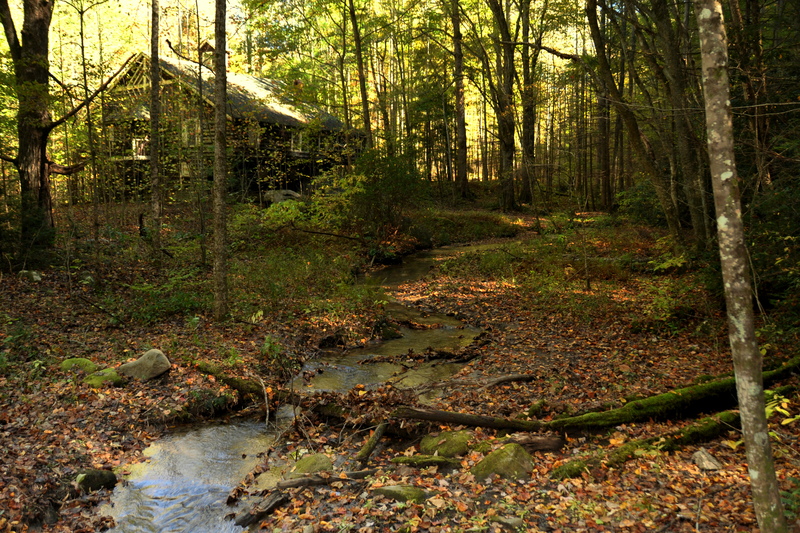 Below pic: The abandoned “ghost village” of Elkmont sits entirely within the national park, and has received a fair amount of publicity lately after a hiker put his video of Elkmont on YouTube and watched it go viral. The building below was originally a Swiss-style chalet, if you can believe it. Interesting note: This pic has a very “processed” look to it, but received almost no editing whatsoever. 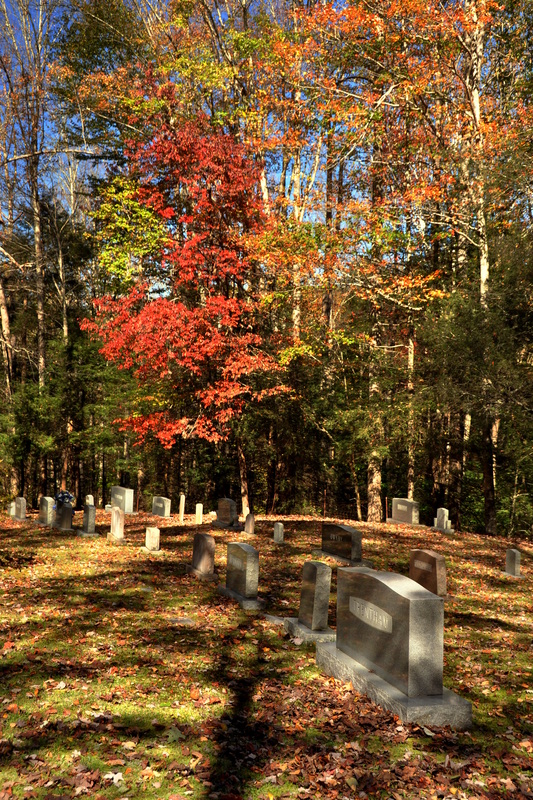 Above and below pics: Cemetery near Elkmont. 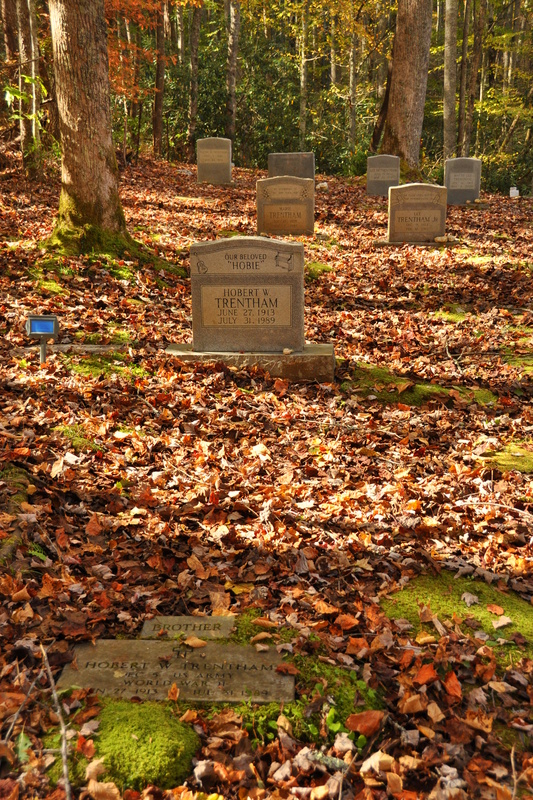 With the fallen leaves, solitude, and lovingly-tended graves (all belonging to a single family), this is perhaps the prettiest cemetery in Tennessee. 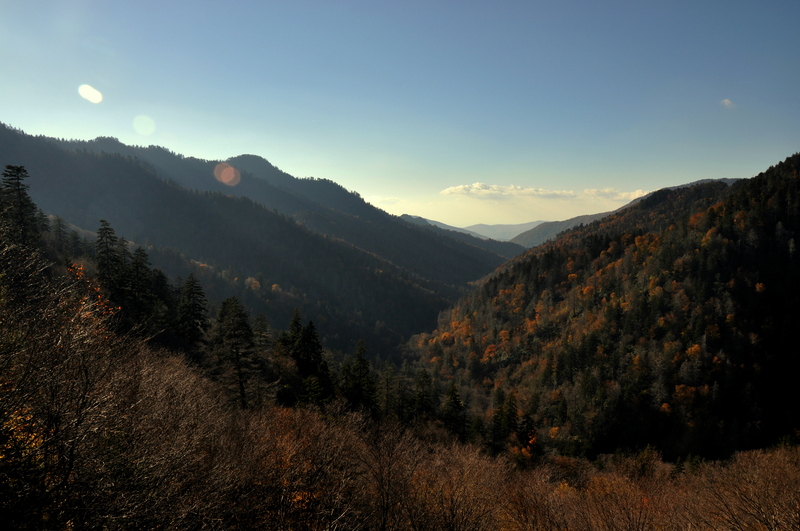 Above pic: 4-p.m. light over Newfound Gap, the highest point along the park’s main north-south road. 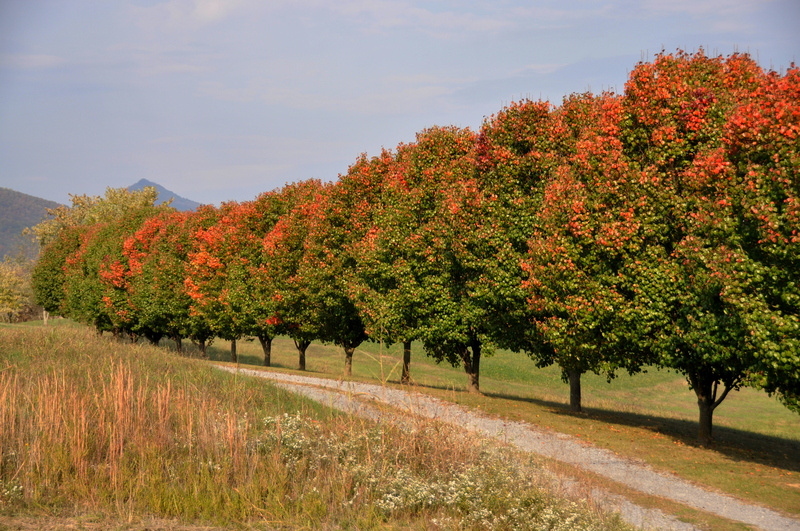 Below pic: Sunny skies and crisp, clear nights are the perfect ingredients for fall colors. 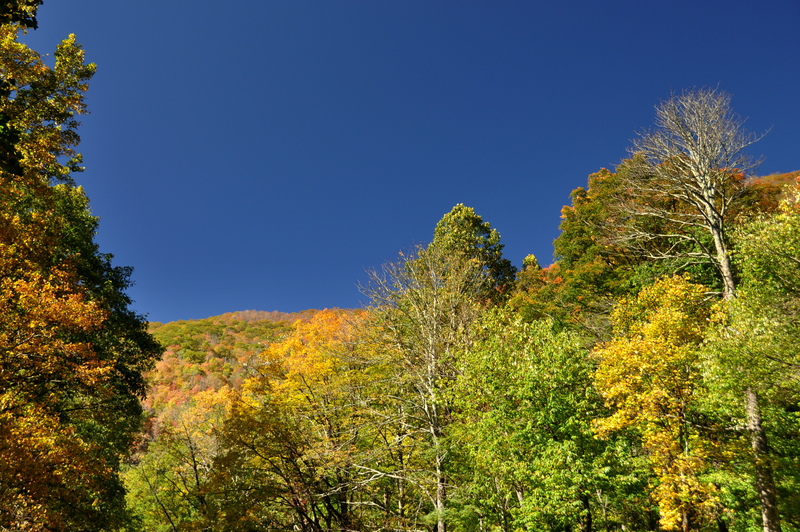 In another ten days or so, colors at this location (not far from Newfound Gap) will be just about perfect. 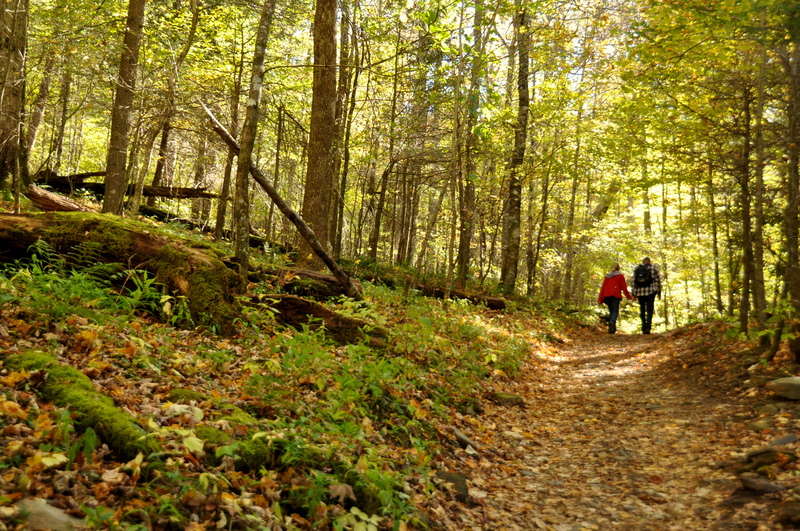 Above pic: Midway up the leaf-covered Chimney Tops Trail. Colors get better the higher you go. 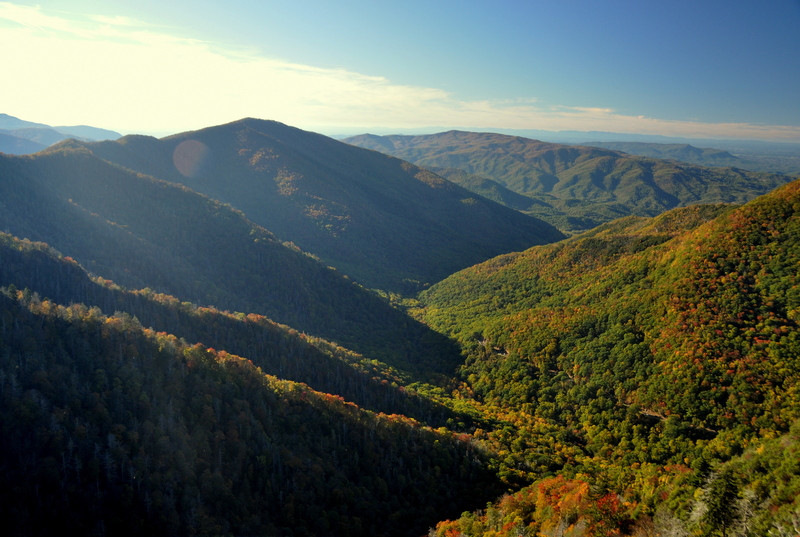 Below pic: The view from Chimney Tops, looking northwest. Chimney Tops is the collective name for a group of rock columns that can only be reached by a Class-3 rock scramble. 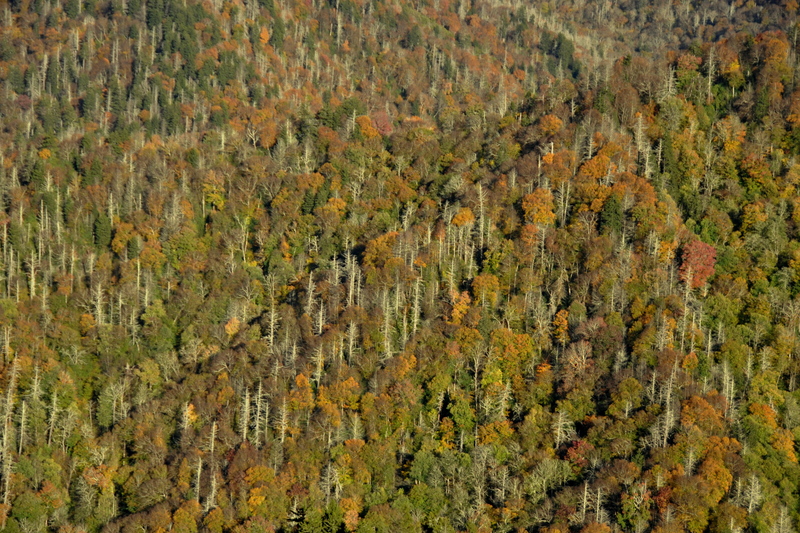 Above pic: Close-up of the trees dotting the upper slopes of the Great Smoky Mountains. The national park has more varieties of flora and fauna than any other temperate region on earth! 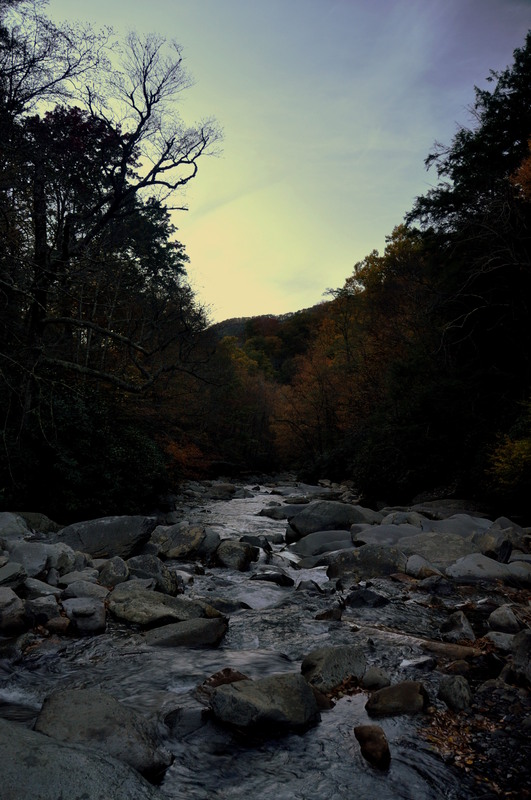 Below pic: Last light, as seen from the shore of a “prong” (creek) that must be crossed several times en route to Chimney Tops. All images are the property of GringoPotpourri unless credited otherwise, and should be used with permission only. When I was a child at Kindergarden and I was learning the seasons of the year, for Fall there was always the drawing/picture of a red-leaved tree… now I really understand why hahahaha you know… in Mexico City the trees go bear, but don’t go red before that. BTW the same happened with winter… it never snows in Mexico City!! I imagine that colonial neighborhoods in Mexico City would be beautiful with red leaves or fresh snow.